We make these kits in our workshop in Coogee. They are the same ones we supply schools with. Great for childrens parties or a family creative day. 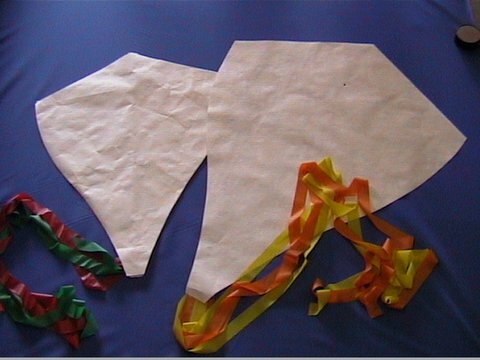 Come with all the parts to make the kite and all you need is imagination and textas or crayons or paint. 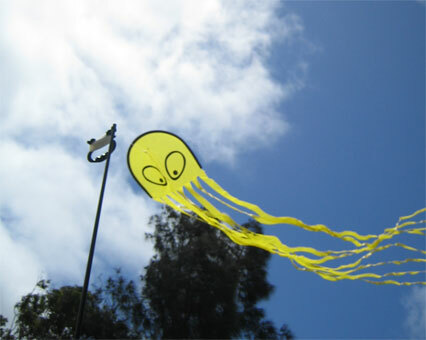 Best kite for 18 month old and up. Just tie it off with 2m of string and let the kids run. It relaunches itself and looks great in the sky. 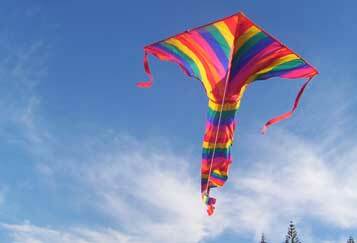 Freight cost to be added to price of kite.